Carrots: Orange You Glad You’ve Lowered Your Risk of Age-Related Macular Degeneration? It’s pretty well established that carrots and their inherent nutrients are good for your eyeballs. In fact, a complete lack of vitamin A will devastate your corneas, and just a little bit of vitamin A deficiency will dry your peepers out. Beta carotene can also help improve your night vision because vitamin A assists the eyes in converting low light into “easy-to-think” brain signals. But a study released earlier this month, found that carrots may significantly lower the risk of age-related macular degeneration (ARMD), the most common and severe cause of vision loss in people over sixty. Researchers from the hallowed halls of Harvard U followed 100,000 people over the age of fifty for twenty-five years and learned that folks who chowed down on the highest levels of the carotenoids zeaxanthin and lutein had a forty percent lower risk of developing the advanced form of ARMD than those who ate the fewest carotenoids. They also found that people who were getting alpha-carotene, beta-carotene and beta-cryptoxanthin in great amounts lowered their risk of AMRD by twenty-five to thirty-five percent when compared to people who didn’t eat that stuff so much. Researchers accredit lutein and zeaxanthin for these positive benefits due to their ability to protect the macular of the eye by acting as antioxidants that filter out damaging blue light and defending cells from free radical damage. 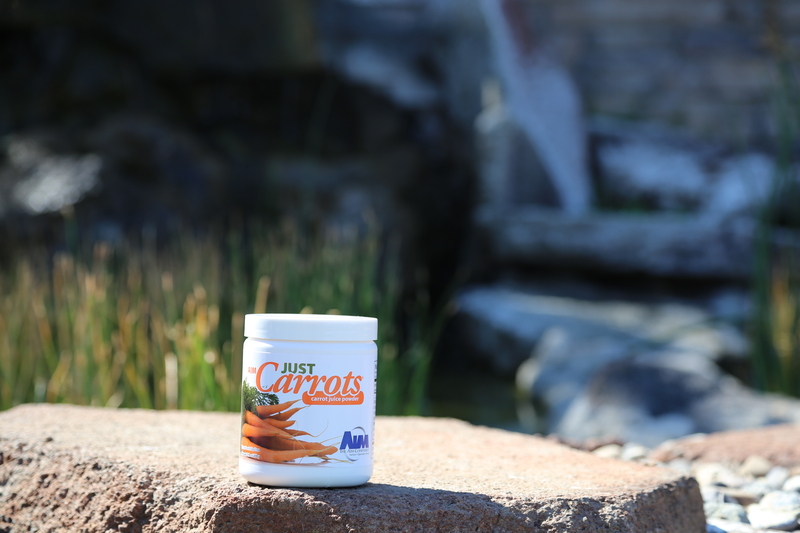 You’ll find plenty of carotenoids in Just Carrots. Author The AIM CompaniesPosted on October 20, 2015 October 21, 2015 Categories Just CarrotsTags age-related macular degeneration, Carotenoids, Carrot Juice, Carrots, eye health, eyes, Vitamin ALeave a comment on Carrots: Orange You Glad You’ve Lowered Your Risk of Age-Related Macular Degeneration?